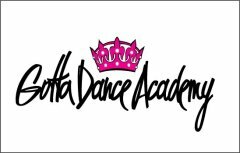 Gotta Dance Academy, located at the Simi Valley Town Center, 1555 Simi Town Center Way, #185, provides dancing instruction to ages 18 months to adult. Beginning to advanced levels, competitive teams, recreational classes, annual recital, homework room, and large viewing areas with one way viewing. Visit www.gottadancesv.com or call 805.526.5655 for more information.